Our big beautiful flora friend is now listed on the National Register of Big Trees. Click the image to see its listing. Derek McIntosh loves trees. Especially big trees. He appreciates them so much that he has developed the National Register of Big Trees. 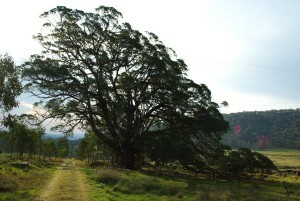 Our Big Tree, an ancient, beautiful and gracious New England Stringybark sits on our boundary. Its large limbs reach the ground creating a hide away for kids and calves alike. Circumference – 6.05 metres at 1.4 meters off the ground. It was growing before white people came. 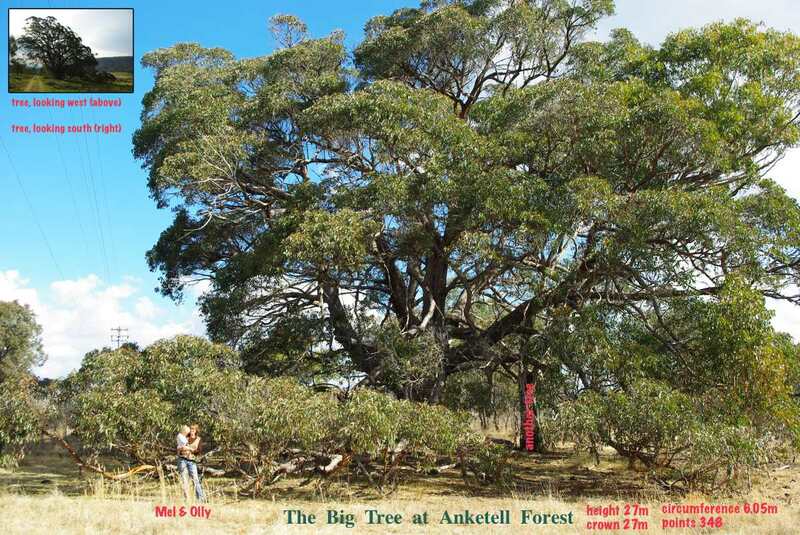 It’s survived the early tree-cutters and farmers, bush fires, drought and hungry stock. It’s even survived the old sheep dip that was once nearby. Click to see a larger version of this image. 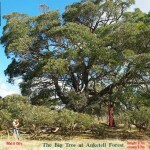 Looking from the north, you can see how big this tree actually is. Our friends Mel & Olly are standing out amongst the edge of the low growing branches for a size comparison. The branches come right down to the ground on the northern side hiding the trunk from view. There is another tree on the right marked in red bending up and out away from the canopy.